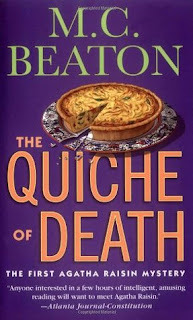 Summary: Putting all her eggs in one basket, Agatha Raisin gives up her successful PR firm, sells her London flat, and samples a taste of early retirement in the quiet village of Carsely. Bored, lonely and used to getting her way, she enters a local baking contest: Surely a blue ribbon for the best quiche will make her the toast of the town. But her recipe for social advancement sours when Judge Cummings-Browne not only snubs her entry-but falls over dead! 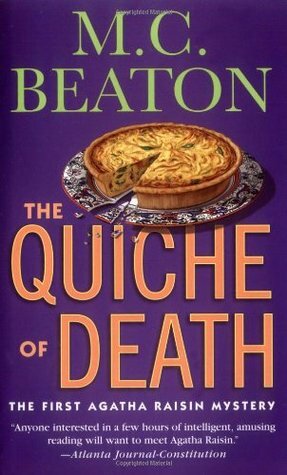 After her quiche's secret ingredient turns out to be poison, she must reveal the unsavory truth-Agatha has never baked a thing in her life!